Presenter Tony Robinson and his production team battled the elements at Avebury stone circle to film part of the four-part series Walking Through History. Last week the team visited various locations in the county for the Wiltshire episode of the series, which looks at some of Britain’s most historic landscapes. Other areas visited in Wiltshire included Devizes, Silbury Hill, the Kennet long barrows and Stonehenge. 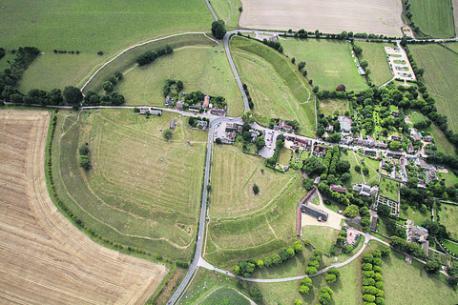 Photographer Nicola Salt from Cadley was at the Avebury stones when the filming took place. STONEHENGE has been rated as one of the UK’s best tourist attractions by customers of Irish bus tour operator, CIE Tours International. Karin Gidlund, from CIE Tours International (centre left), hands over the award to Jon Bichener, Stonehenge retail manager (left) and Stonehenge property supervisors Anneka Harris (centre right) and Kevin Barber (right). The award acknowledges customer satisfaction of 90 per cent or over, based on feedback from those visiting the ancient stones. 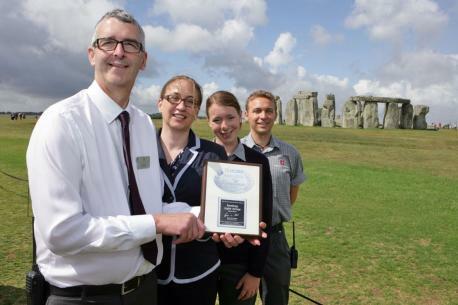 Peter Carson, head of Stonehenge for English Heritage, said: “We are so thrilled to have received this award given our current limited facilities, and therefore it is a real pat on the back for the high standards of service offered by our team to our customers.